Join Genoa for this lecture on the qualities of planetary energies and how they can transform our knowledge of Human Design. 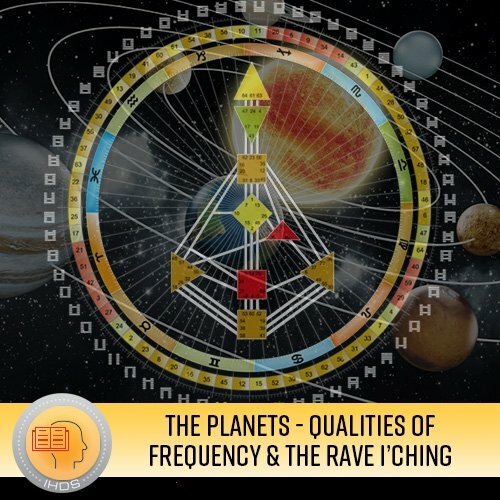 We delve into the qualities of planetary energies and learn how they can transform our knowledge of Human Design. We will learn what exaltations and detriments are, how they work and why planetary frequencies make them happen. What do they mean to individuals, relationships and the evolution of humanity? Planets are a key to the deeper dimensions of Human Design in your own experience, in transit analysis, relationship charts. Because planets function on higher, middle and lower octaves they are a key to personal development and your own mystic liberation. We will explore practical exercises so you can learn lots more about planetary energies and track the results in your own life-events and relationships. We will also learn how planets give unmistakable and dramatic clues to specific charts with examples from history and the artistic world.